So, here's where we can chat about all things SDCC, as it relates to TVC. The convention runs from July 12th though July 15th. It seems that the Carbon Freezing Chamber is Hasbro's exclusive for Star Wars. I was just ten years old when the Phantom Menace came out and I was so ecstatic for more Star Wars! So there is definitely some nostalgia here for me with this Jar Jar. I remember going with my friend Mark and his father to see the film... man Great times! I was 27 when it came out, and I cannot remember ever being so excited to see a film, except for the long wait for the release of Return of the Jedi back in 1983! Unlike many adult fans, I was not disappointed with The Phantom Menace; and I went to see it nine times in the theater. I am so glad to see that we are going to get a definitive Jar Jar Binks figure; it sure has been a long time coming. A most welcome addition to my collection. When TPM came out? I was 36. Yeah, there was a big anticipation there for me, not only for the movie, but to have a new John Williams score to a Star Wars movie. When it was released, I was the same age as Ewan Macgregor. And, oddly enough, I still am. and I cannot remember ever being so excited to see a film, except for the long wait for the release of Return of the Jedi back in 1983! Menace easily trumped the Jedi wait for me. I wasn't either. I could have done with less Jar Jar and Pandabear, but they were much better than I feared they would be from the otherwise excellent trailers. and I went to see it nine times in the theater. I saw it 10 times. I am so glad to see that we are going to get a definitive Jar Jar Binks figure; it sure has been a long time coming. If I were KING, Jar Jar would be banished! Yes! I heard about these in the latest Curto Burns Collectors Cast! So awesome! Both are definates for me! I'm surprised how good the at-st drivers look! What great stuff were getting unexpectedly! a happy collector I am. Thanks for sharing these! I'm ecstatic for all of the ROTJ love. 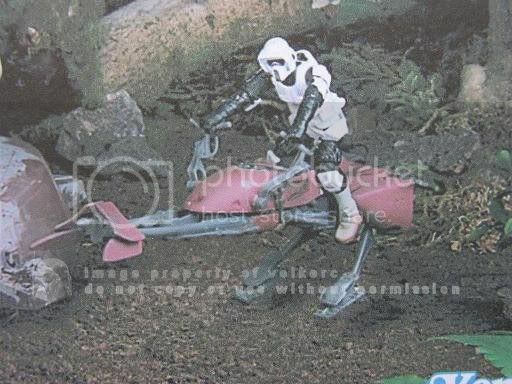 Between the Ewoks we are getting, and Endor related vehicles and figures I am so pumped! 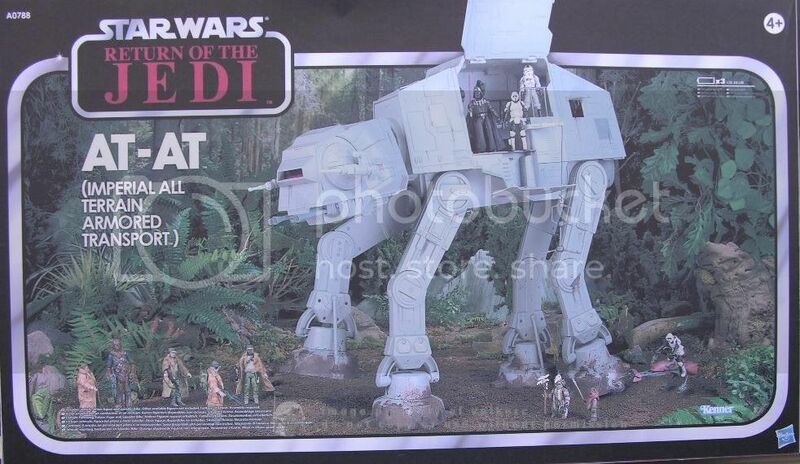 The recently leaked Endor AT-AT box pictures revealed an Endor themed AT-AT driver which is another new one we will have to watch out for... If that guy is included in the set I will have to acquire that AT-AT! Same Hoth AT-AT driver with black shiny boots and gloves! The card says "Barriss Offee," but this Luminara appears to have ball-jointed elbows, unlike any previous release of this character. So, are we getting a new Unduli? * New Luminara, red Battle Droid, Pablo-Jill, Geonosian Warrior and 212th Clone. I'd like to hope that this would stop people from asking for this figure, but I know it won't. They'll want it on a vintage card next. Personally, I don't think Jocasta Nu is necessary. BUT, she was a character with a speaking part, so I can see why people would want her over any number of others who had screen time, but did not speak. I'm also pleased that she is an exclusive, as this will keep her from warming the pegs in the stores.